Thinking of opening a new business, we ask ourselves two key questions: (1) in which market and with which products will we work? And (2) with which company? In which market to work? … people printed, print and will print. Annually millions of jet printers are sold all over the world. And each user faces a choice: to print using super expensive original cartridges or to use compatible consumables. The market of compatible consumables has been around for a long time, but before appearance of CISS– continuous ink supply system – it was not so significant. Previous versions of compatible consumables gave 25-30 % economy which was not essential to the majority of users. 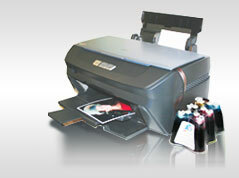 Using CISS economy increases by 20-30 times, or 1000-1500 % on each print. So, reason 1 - you know how to interest your clients! The second question - quality. The majority of compatible materials of other manufacturers are made in China with orientation towards a low price. Such CISS often causes problems during installation, constant problems with use, bad quality of print, etc. Entering the market, we have gone the other way – with orientation towards quality. Our products are made in South Korea, with excellent technical support, representatives and end users, with a considerable quantity printing capacity and video instructions, INKSYSTEM is one of the market leaders in all countries where our products are presented. A key source for new clients is that people recommend to one another a reliable company with quality products. Reason 2 – high quality products. The third, business competition on the market. As technology, CISS has started to sell only 4-5 years ago, many people did not know till now even about the existence of compatible consumables. In an economic theory CISS market would be named an emerging market as more people learn about this technology and advantages, the more clients appear for vendors on the market. The quantity of representatives of INKSYSTEM Company has tripled only during the last year. According to expert prognosis, demand in the market will exceed supply for about 3-5 years, and then this market will become overcrowded for new players. You have a possibility to attend to this business now, while the competition is weak and to seize the big market share then to receive regular profit from this business and to retain clients. With each month new players appear on the market, and in 1-2 years it will be much more difficult to begin in this business. The fourth, influence of world crisis on this market. CISS market is one of few markets which has won the crisis. Why? Because we suggest people to save, something which is in demand always, and in crisis – in particular. Right now each person and each company thinks of how to cut costs, and transition to use of compatible consumables is impossible by the way. So the crisis is not against, but for business opening in this market. 1) Huge competitive advantage to clients – economy by 20 times! And the second question, or with WHICH COMPANY to WORK WITH? You, probably, have guessed the answer. Fill in this form or contact us, and we can discuss all questions about cooperation.